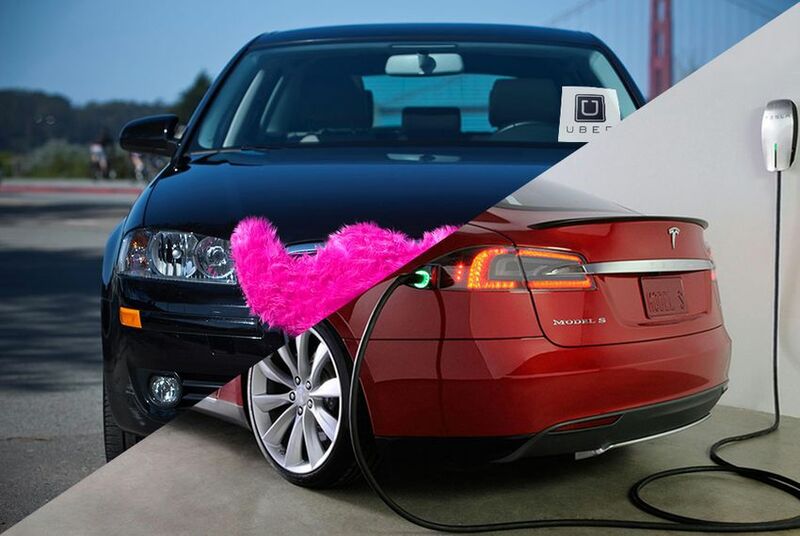 With the clock winding down on the legislative session, Tesla Motors, Uber and Lyft have little to show for the money they spent on high-profile lobbying. As deadlines loom, the bills they were steering appear to have run out of gas. But four months into the session, the companies have little to show for the millions of dollars they spent hiring a combined 59 lobbyists, with Tesla and Uber among the biggest teams at the Capitol. As legislative deadlines loom, the bills they were steering appear to have run out of gas. Tesla’s battle against the state’s powerful auto dealers perhaps had the highest profile. The California company’s model is simple: It sells its high-end electric cars directly to consumers, bypassing middleman dealers. But a longstanding state law bars that practice in Texas, meaning buyers here can only order the car online from the company’s headquarters in California. Dealers say that law protects consumers and that efforts to overturn it threaten their livelihoods. Elon Musk, Tesla’s CEO, tried to poke holes in the law during the 2013 session and was crushed. Legislation that would have allowed electric car manufacturers to sell up to 5,000 cars directly only wriggled out of a House committee before it died. Musk, who calls the current law “extremely un-Texan,” reloaded in 2015, pumping more contributions into campaign coffers and spending hundreds of thousands of dollars on 22 lobbyists, more than doubling the size of his team. With some high-profile names, Tesla’s lobbyists pushed legislation – House Bill 1653 and its companion, Senate Bill 639 — to allow auto manufacturers that have never sold their cars through independent dealerships in Texas (like Tesla) to operate up to 12 stores. It was modeled on deals Tesla has forged in other states including New York, Ohio, Pennsylvania and, most recently, Maryland. His efforts appear to have stalled out. The bills haven’t even drawn a committee vote in either chamber, and Tesla’s lobbyists and lawmakers concede they are doomed. The Senate bill never even drew a hearing in the Committee on Natural Resources and Economic Development. State Sen. Troy Fraser, the committee’s chairman, recently told The Texas Tribune that the reason was simple: His members didn’t want to do so until the House passed its version. He said he sees no reason to “piss off all the auto dealers’’ on a vote that he believes would ultimately be meaningless. State Sen. Kelly Hancock, R-North Richland Hills, the bill's sponsor, was not available for comment on Wednesday. Proponents of Tesla’s expansion call the apparent failure just another sign of the long-entrenched relationship auto dealers have with the Legislature, and the difficulties outside parties face in overcoming it. According to a recent report by Texans for Public Justice, a liberal watchdog group that tracks the influence of money in politics, dealer interests outspent Musk 40 to 1 in the 2014 election cycle — contributing more than $1 million to Gov. Greg Abbott and almost $800,000 to Lt. Gov. Dan Patrick. Tom “Smitty” Smith of the liberal consumer group Public Citizen said much of that influence comes from dealers back in lawmakers’ home districts. State Rep. Eddie Rodriguez, the House bill's author, agreed that the dealers were a big obstacle, but he said any major changes to economic markets take time. “It is a very different way of doing things and it does buck the traditional system, and that’s not done overnight," the Democrat from Austin said. Dealers argue the legislation failed simply because it's bad policy. They say the direct-sales ban protects Texans by ensuring that they have spots to buy cars across the state, not just in highly populated areas where manufacturers might concentrate if given the chance to sell directly. And they say Tesla doesn’t deserve special treatment. Tesla officials refuse to call the session a total failure. They say they educated more consumers and lawmakers and will continue their fight in the country's second-largest automobile market. Ride-for-hire services Uber and Lyft also made a concerted push this session, deploying a fleet of nearly 40 lobbyists between the two companies — most of them for Uber — aiming to block Texas cities from regulating their businesses. The San Francisco-based firms use smartphone apps to connect ride-seekers with freelance drivers using their own vehicles. Uber and Lyft threw the bulk of their support behind a measure by state Rep. Chris Paddie, R-Marshall, that would grant them statewide operating permits. House Bill 2440 would strip regulatory power from Texas cities like Houston and San Antonio that have clashed with the companies over standard fare rates, commercial insurance policies and driver background checks. The measure limped out of committee in April after taking flak from state and city officials worried about public safety and cab companies that want Uber and Lyft to face the same regulations they do. It was not scheduled for a vote on the House floor. “There’s no question it’s dead,” Paddie said on Wednesday. Uber and Lyft’s efforts to scrap city ordinances may have stalled in part because of bad timing. The week before the House Transportation Committee met to consider Paddie’s measure, an Uber driver in Houston was arrested on charges of sexually assaulting a passenger. Houston requires all commercial drivers to pass a city background check and obtain a city-issued permit, but Duncan Burton — who previously served 14 years for drug charges — was driving for Uber without a city permit. An Uber representative spent much of that hearing being asked to explain how Burton slipped through the cracks. Spokeswoman Sally Kay said that Uber is investigating the incident and that she couldn’t comment. “That’s not really good enough for me,” said state Rep. Larry Phillips, R-Sherman. The bill was later changed to let cities require fingerprint scans. That wasn’t the only case of bad optics at the hearing. Several witnesses with physical disabilities blasted Paddie’s bill for allowing Uber and Lyft to pay an annual fine of $10,000 in lieu of providing wheelchair-accessible services. Taxi service representatives say that’s less than the typical cost of adapting a single vehicle for wheelchair access, meaning traditional cab companies required by cities to accommodate disabled customers would bear a steeper cost than companies like Uber and Lyft that could opt out. Paddie said he’d consider trying to attach provisions of the bill as amendments to other legislation. The lower chamber passed another measure this week to regulate Uber and Lyft driver insurance on a statewide level, which Paddie said “essentially was the insurance language” from his bill. On Wednesday, the companies weren’t ready to declare HB 2440 dead. Uber spokeswoman Debbee Hancock said “the clock is ticking, but there’s still time” for lawmakers to make a last-ditch effort to let the company bypass city restrictions. The roadblocks Tesla, Uber and Lyft hit this year may look counterintuitive in a state that prides itself on welcoming new business. Added Hancock: “Fifteen states have already adopted ride-sharing laws, and it would be a shame if Texas failed to do the same." The company has threatened to cease operations in cities and states, including San Antonio and Kansas, that pass regulations they consider too strict. Conservatives in and outside of Texas say the Legislature's inaction reflects poorly on Texas' free-market reputation. Disclosure: Tesla Motors and Uber are corporate sponsors of The Texas Tribune. Red McCombs is a major donor to The Texas Tribune. A complete list of Tribune donors and sponsors can be viewed here.